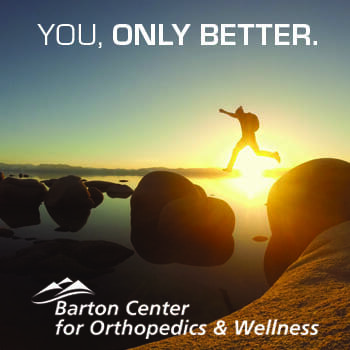 Sir Edmund Hillary, the famed adventurer who first summited Mount Everest, once said, “It is not the mountain we conquer, but ourselves.” People with disabilities, who may feel that sports like skiing are out of reach, may find his words especially poignant. 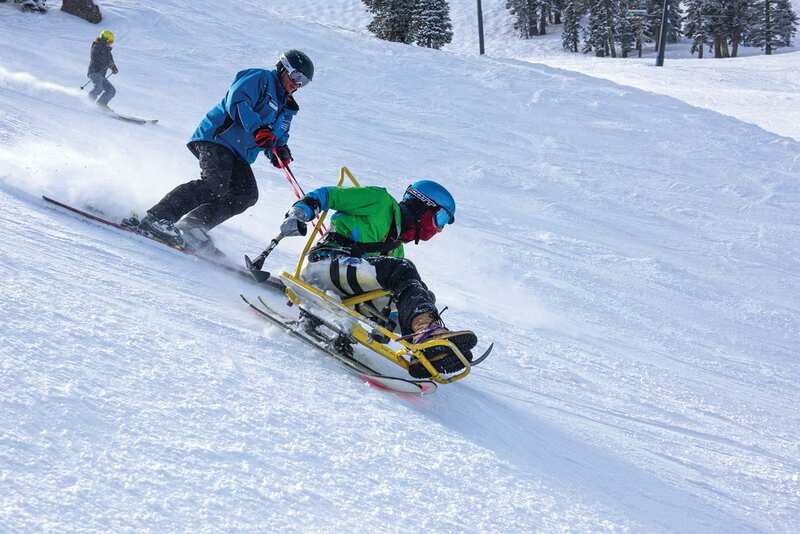 For the past 50 years, Achieve Tahoe (formerly Disabled Sports USA Far West) has helped turn such doubts into adventures as a leader in the adaptive sports movement. A sign emblazoned on the organization’s building displays the motto “If I can do this, I can do anything,” and through the program, thousands of people with disabilities have learned to ski. Haakon Lang-Ree, executive director of the Alpine Meadows–based nonprofit, credits Achieve Tahoe’s passion for its success over the years: It shines in the enthusiasm of the instructors, the determination of participants and the tireless work of its founders. Achieve Tahoe’s legacy began with Jim Winthers, a World War II veteran from the 10th Mountain Division, a special branch of the military that trains soldiers for mountain warfare. During the war, Winthers skied into combat against Axis forces in the snowy Apennine Mountains of Italy. His uniform was a paper-white parka that served as camouflage, and he carried a rifle and heavy pack with his skis. The 10th Mountain Division is legendary in the ski industry. After World War II, veterans from the 10th brought their love for skiing back to the United States and had a large role in the expansion of skiing as a sport and vacation pastime. Ex-soldiers built ski lodges, laid out runs, improved outdated ski equipment and taught lessons. Winthers was no exception. 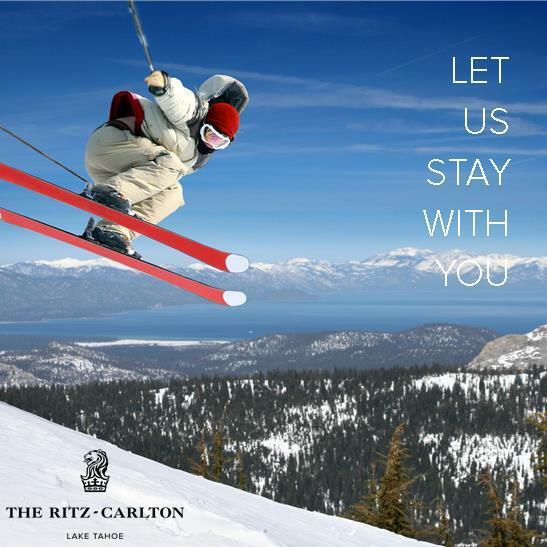 After World War II, he worked as a ski instructor in Lake Tahoe for many years. In the 1960s, Winthers noticed Vietnam veterans returning with missing limbs. Warfare had changed since he was a soldier, and newfangled explosives were devastating U.S. troops. 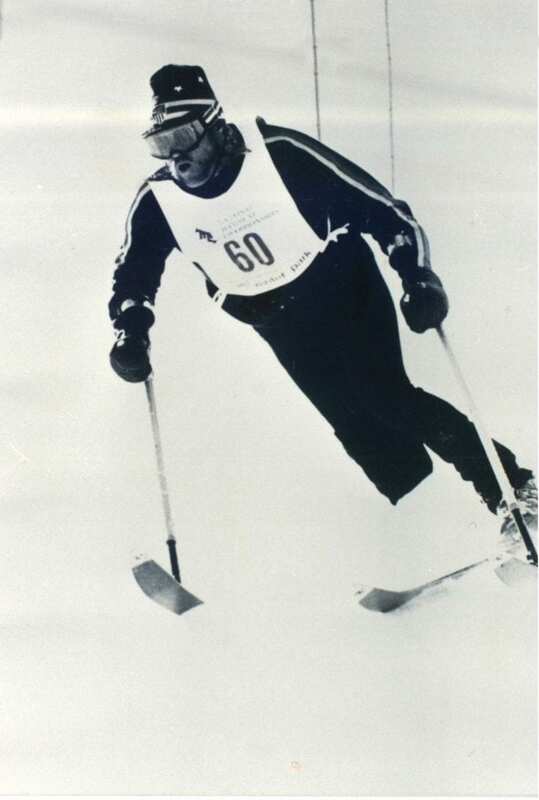 Winthers founded the National Amputee Skiers Association at Boreal Mountain Resort in 1967. 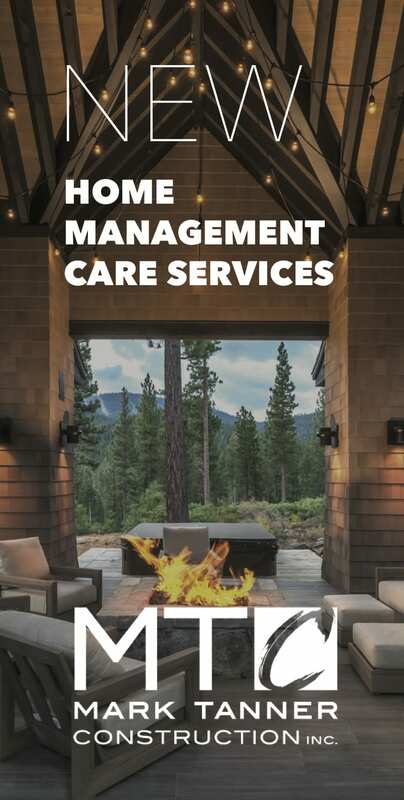 The organization moved to Alpine Meadows in the early 1980s, where it’s now formally known as Achieve Tahoe. For Vietnam veterans like Doug Pringle, Achieve Tahoe was life-changing. Pringle was hit by a rocket-propelled grenade in combat and lost his right leg, which was amputated just below the knee. After his injury, he spent eight months bedridden in the Letterman Army Hospital in San Francisco with dozens of other amputees. “I was pretty depressed. The army, society and everyone I knew treated me like I was ruined,” Pringle says. Winthers visited the amputee veterans at the hospital and showed them a movie featuring a skier with only one leg using outriggers to control his descent. Outriggers are ski poles outfitted with small ski blades at the tips. Despite seeing the film, Pringle didn’t believe he would ever ski. “I thought that Winthers was crazy and didn’t think that someone could ski on one leg,” he says. But Pringle needed a break from the hospital and decided to give skiing a try. Within his first day of instruction, he was able to stand on one ski and do a few turns. Pringle became a ski instructor for Achieve Tahoe and traveled to ski resorts across the West, starting 20 new chapters of adaptive sports programs. Later, he was elected president of Disabled Sports USA and worked for over 40 years before retiring in 2015. Achieve Tahoe is the founding chapter of Disabled Sports USA. 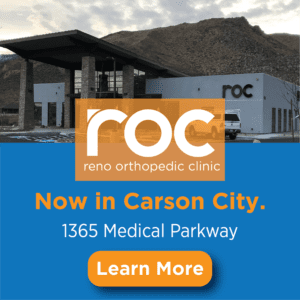 Now, the organization has 120 chapters nationwide, and adaptive skiing instruction and equipment has evolved to include people with many kinds of disabilities. Sit-skis and mono-skis engage people with paraplegia, and advanced instruction methods accommodate people diagnosed with mental health conditions. Skiing competitions for athletes with disabilities are also common throughout the country. Dedicated instructors like Pringle have been key to Achieve Tahoe’s success. 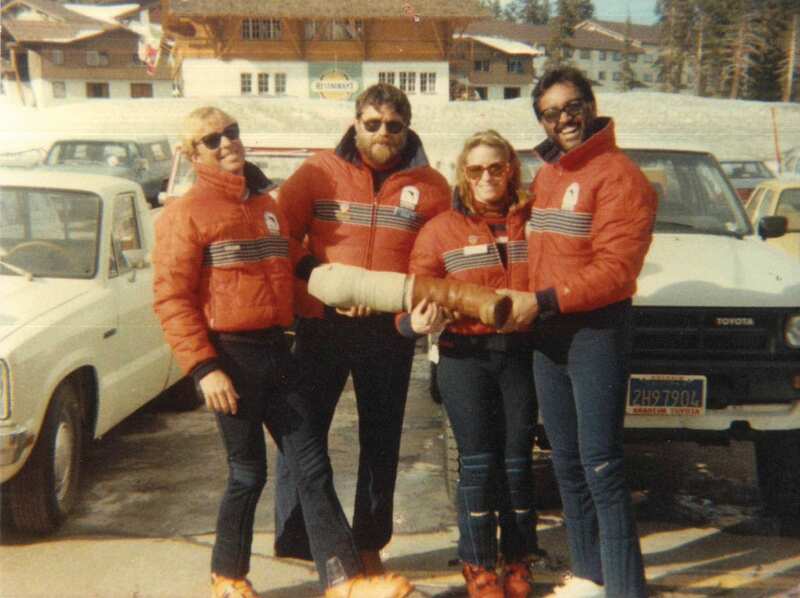 Former Achieve Tahoe vice president Katherine Hayes Rodriguez began working with the organization as an instructor in 1977 and helped developed a curriculum for certifying instructors in adaptive sports with the Professional Ski Instructors Association (PSIA). Before Hayes Rodriguez oversaw the writing of the PSIA manual and devised a training process for adaptive sports, PSIA only certified instructors in alpine skiing. Hayes Rodriguez strived to gain credibility for the program, and because of her work, adaptive sports has grown into a globally recognized PSIA certification. 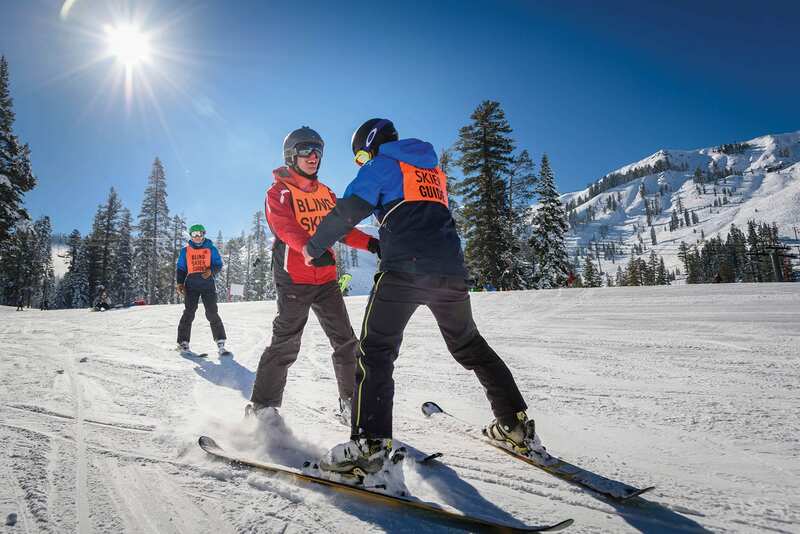 Achieve Tahoe instructors approach each lesson differently depending on the student’s disability. Lessons are always one-on-one and incorporate patience and problem-solving with a positive attitude. There are around 160 volunteer instructors working with the program. 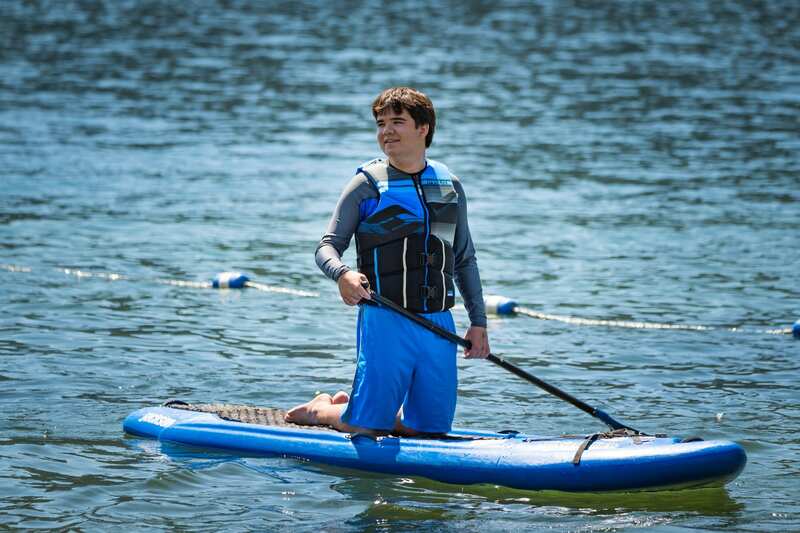 Skiing seemed impossible for 18-year-old Connor Kitayama, who has autism. His mother, La Donna Ford, didn’t believe her son possessed the capabilities to master the sport. But when she took Kitayama to Achieve Tahoe, the instructors insisted he could learn. Although it was hard for Ford to send her son out on a mountain with strangers, it was one of the most rewarding things she’s ever done. 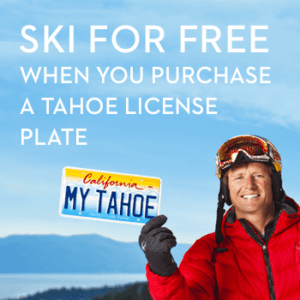 Kitayama now skis every winter with Achieve Tahoe. His ability has improved so drastically that he can ski down any groomer on the mountain. 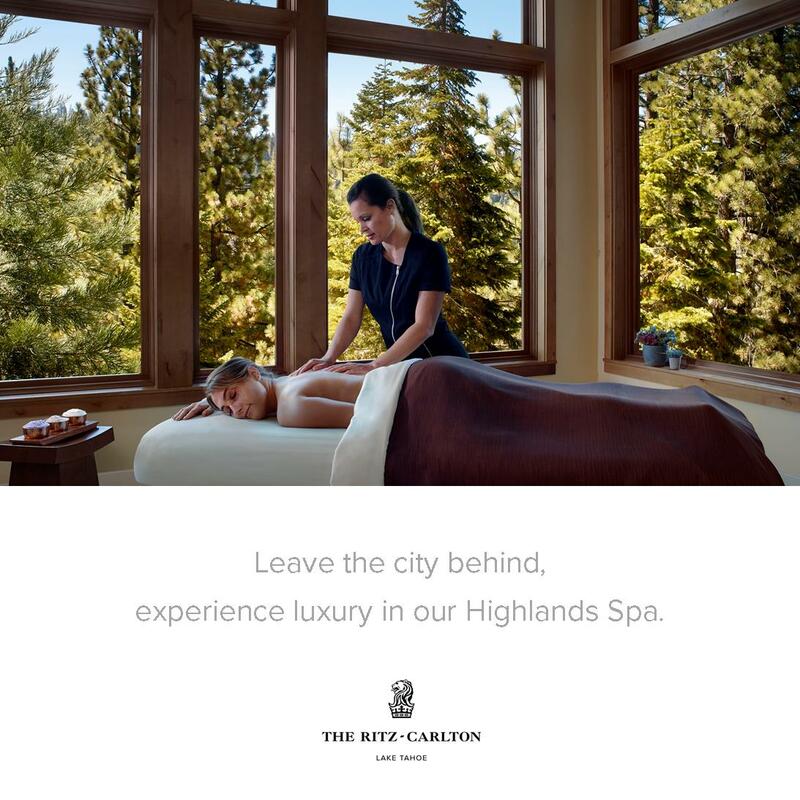 He also participates in Achieve Tahoe’s summer activities, trying sports like kayaking and stand-up paddleboarding. By partnering with Squaw Valley Alpine Meadows, Achieve Tahoe makes skiing affordable for participants. The rate is $100 for a lift ticket and two-and-a-half-hour private lesson. Standard ski and snowboard equipment rentals are half price and adaptive sports equipment is available for $10 a day. Even with the support of the two ski resorts, however, Lang-Ree says the program would not be possible without the help of volunteers and donors. 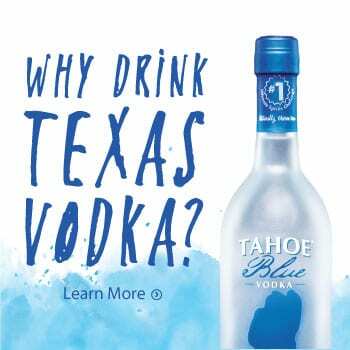 As Achieve Tahoe celebrates its 50th anniversary, the people behind the organization are extremely proud of what they’ve accomplished.